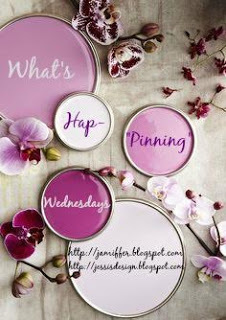 Hey ya'll and happy Wednesday - What's Hap-'pinning' Wednesday that is! Today I'm catching up on all things that have been going on lately since I've been sort of MIA in the blogging world. This summer, thus far, has been SO busy and it literally doesn't slow down until around July or August. 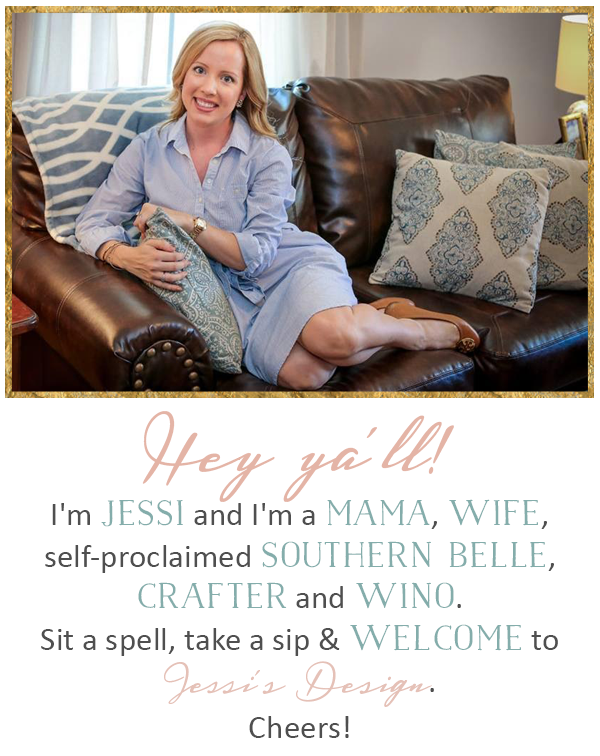 This weekend we are headed to the bay with some friends for a mini-vacay and then I have my girls reunion trip followed by the Miss VA pageant so June is swamped! Memorial Day was fantastic and while honoring the servicemen and women of our country, we also celebrated with a fun cookout, lots of food and a trip to the pool. We just joined (my high school) pool and Andi starts official swim lessons there next week so we are trying to go as much as possible to get her acclimated. She did excellent on her first day and it was so much fun! Send me all of your Mama swim lesson tips. She;s doing private lessons twice a week for 8 sessions and I'm just praying its not a total disaster. Afterwards, we hosted a little cookout and got to use our new umbrella with the solar lights I mentioned a week or so ago. (also, best new discovery, fiesta ranch packet in your hamburger is the best thing ever. Total game changer. We've always used regular ranch but the Fiesta one was incredible!) 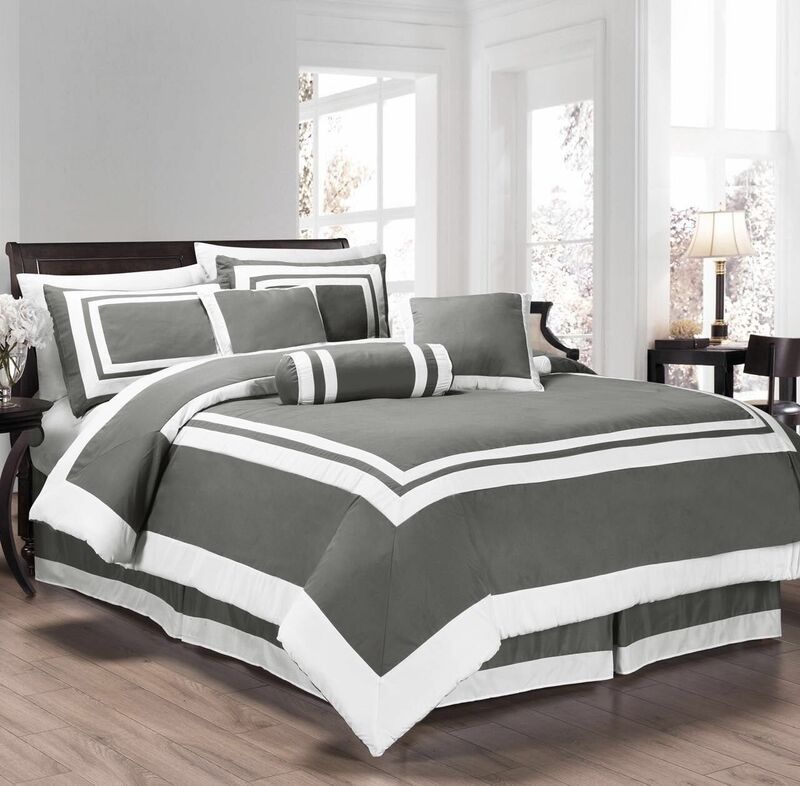 We also purchased our FIRST king bed, bed sheet and new sheets and I am SO excited. We've always had a queen but I felt like it was time to upgrade. We are supposed to be picking out a new mattress next week and then the set will be complete! Just need to add large monogram to pillowcases & we're good to go! How precious is she?! And yay for swimming lessons AND a king-sized bed: total game changer, for sure! We also have that umbrella and I love it! Have you tried a packet of Lipton Onion Soup Mix in your hamburger (with a bit of Worcestershire)? My favorite thing in the world! 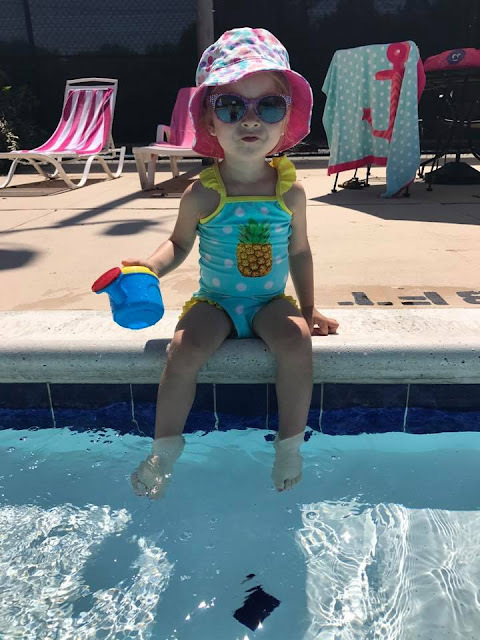 I am in love with that little pineapple swimsuit!! And that umbrella is so neat-I love it! Cooling sheets?! I NEED those in my life! Aw, I love Andi's pineapple suit. Too cute. I hope that her lessons go well. 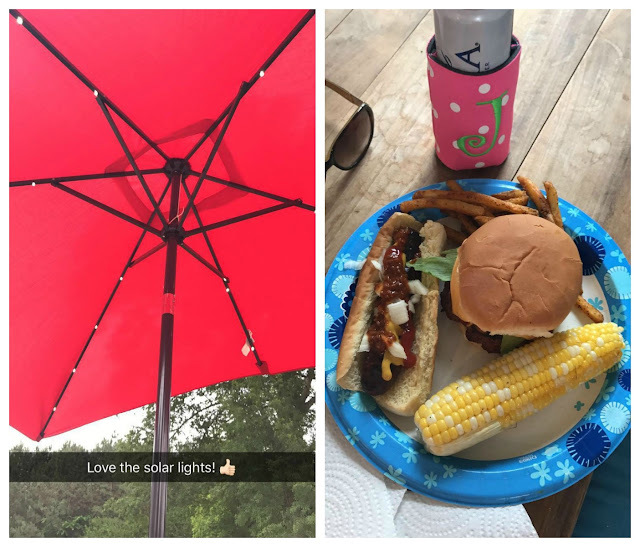 That umbrella with the solar lights is so cool - where did you get it? I love Miss Andi's little pineapple suit. That is so adorable. COOLING SHEETS?! What?! That's a thing?! I have a cooling tempurpedic pillow, but now I need these sheets! Also, how darling is Andi with her suit and glasses?! She is too cute! My niece is in swim lessons currently and I love watching her put them into practice. I need to check out these sheets! And I am totally trying that packet in my next batch of burgers! Congrats on your new bed!!!! Hubs and I bought a king bed when we moved in our house and at first we were wondering why in the world we would need a bed that big, but now that Olivia is always wedged between us, we are thanking ourselves! Haha. We'll never go back to anything smaller! You can't beat it for the price! So cute at night! The pool looked like so much fun!!! 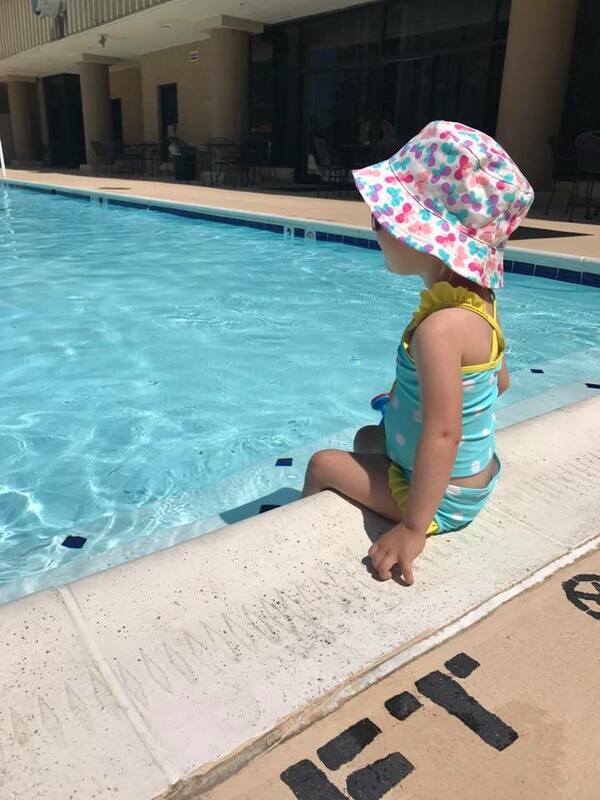 I wish we had more community pools around here lol Sounds like the perfect weekend and I hope Andi does well with swim lessons! The king bed is going to be so nice! We've never slept better lol! 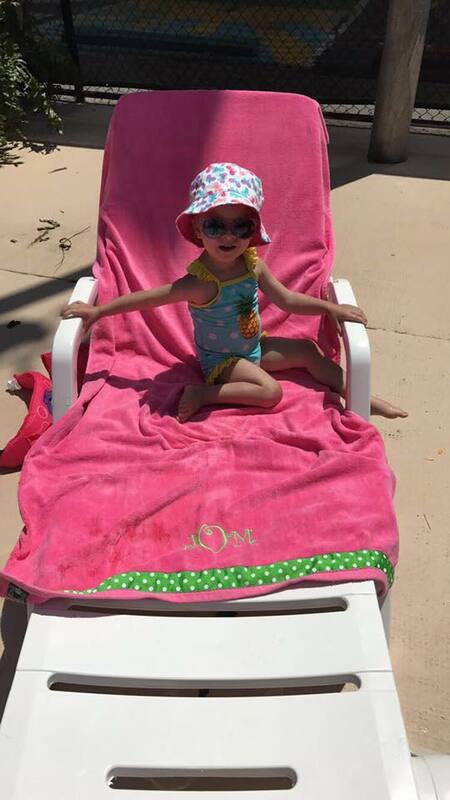 Andi was simply made for swimsuit season! Oh I am super interested in those sheets. Is Andi potty trained yet? Tips?